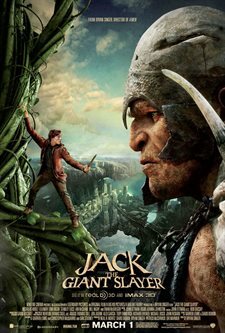 Jack the Giant Slayer tells the story of an ancient war that is reignited when a young farmhand unwittingly opens a gateway between our world and a fearsome race of giants. Unleashed on the Earth for the first time in centuries, the giants strive to reclaim the land they once lost, forcing the young man, Jack (Nicholas Hoult) into the battle of his life to stop them. Fighting for a kingdom, its people, and the love of a brave princess, he comes face to face with the unstoppable warriors he thought only existed in legend–and gets the chance to become a legend himself. 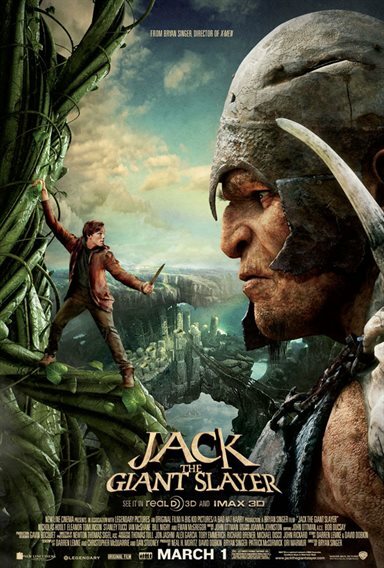 Download Jack the Giant Slayer in Digital HD from the iTunes store. Jack the Giant Slayer images are © New Line Cinema. All Rights Reserved. 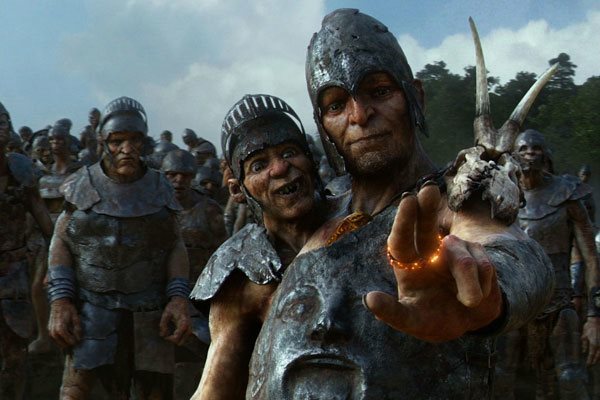 Taking special effects and sound to a new level for a 3D film, Jack the Giant Slayer entertains with adventure and excitement. The audience for the film in my estimation targets preteen to 20's male population. That said, the movie is critic proof with its giant size marketing budget and will certainly make a huge profit in the box-off draw. If you are an adventure film addict and enjoy movies like Journey to the Center of the Earth or 300 than this movie should be on your must see list. The story has been played out many times as Jack and the Beanstalk in children's films with Mickey Mouse and even a comedy starring Abbott and Costello yet in this movie there's more of a serious tone. While the beginning does have the typical reading of the book and a young lad named Jack becoming immersed in the story, it then flashes ahead where we find the grown up Jack (Nicholas Hoult) taking his horse (substituted for a cow as you will find out why latter in the movie) to market to bring home the money that will save the farm. From here the movie gets more adult driven with Jack dropping into the local pub where the entertainment features a lot of ‘fooling' around. Here he spots King Brahmwell's (Ian McShane) daughter Isabelle (Eleanor Tomlinson) being bothered buy some drunk patrons and comes to her aid. The King's men lead by Elmont (Ewan McGregor) arrives and whisks her away to the castle. Jack leaves the tavern and sells his horse to a Monk (instead of a peddler as you will see why later in the film) for some special mysterious beans. 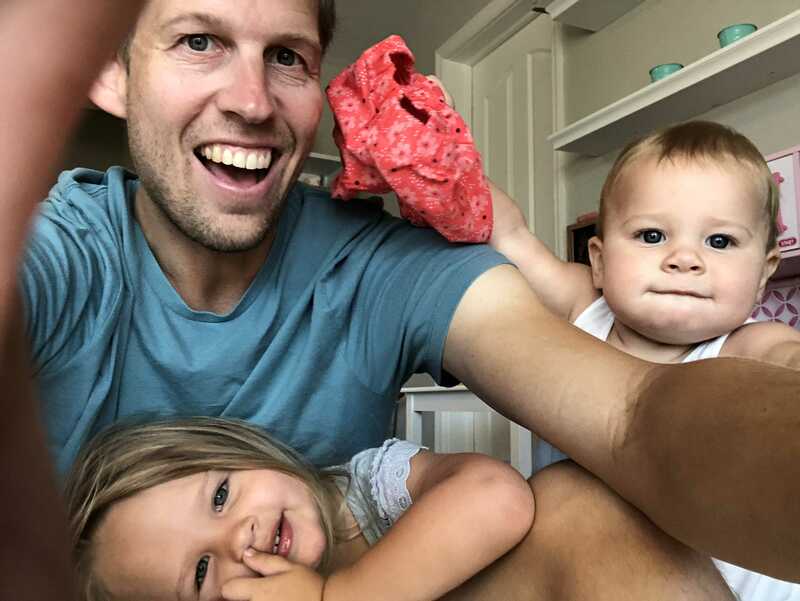 Jack arrives home and his father gets upset over the beans with one of them dropping through a crack in the floor. In a rainstorm sometime later he runs into Isabelle who he brings to his house for shelter. When a drop of water hits the bean that fell though the floor an astonishing beanstalk grows carrying off Jack's house with Isabelle inside. So starts an adventure under the direction of Bryan Singer who uses some very good 3D CGI techniques to bring the beanstalk, a sky high country, hordes of marauding giants, a golden Faberge egg (why Faberge? If you find out, please let me know), and an amazing amount of castle damage from burning trees, slung objects, and a tug of war on the castle gates. 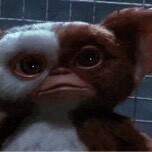 His film gets violent, gruesome, but yet nothing extraordinary in this day and age. Jack, along with Elmont, Isabelle's fiancé Roderick (Stanley Tucci), the bumbling Wicke (Ewen Bremner) and a number of the King's best climbers start their journey up a mammoth beanstalk that can give someone with vertigo a visual challenge. Singer's choice of talent includes Nicholas Hoult who worked for him when he produced X-Men: First Class as Beast and recently starred in the comedy/horror flick Warm Bodies. Hoult makes Jack smart, protective, clever and attractive enough to catch the attention of a pretty woman. That's where Eleanor Tomlinson comes in as the lovely Isabelle. Although she has not built much of a career to date, she dazzles in Jack the Giant Slayer. Her soft exterior turns into a boyish rebel when she has to help stand off a two headed giant. I like her fresh look for the screen and with her starring role in the upcoming Styria, a fantasy horror flick set to come out this year, we may be seeing a lot of her in the future. Jack the Giant Slayer has been rated PG-13 by the MPAA for intense scenes of fantasy action violence, some frightening images and brief language. While I feel that the cut-off for youngsters should go no lower than a mature 11-year-old due to the nature of the violence with some very gruesome visuals, the story, marketing and CGI will determine the age of the audience beyond that group. Jack the Giant Slayer images © New Line Cinema. All Rights Reserved. Finally have a night home to watch! Not the best movie by any means... But better than expected. Good entertainment. Impressive! I wasn't sure if I'd like it or not. I'm glad I went! I enjoyed it. 7.8 out of 10. Why is Hollywood destroying fair tales?